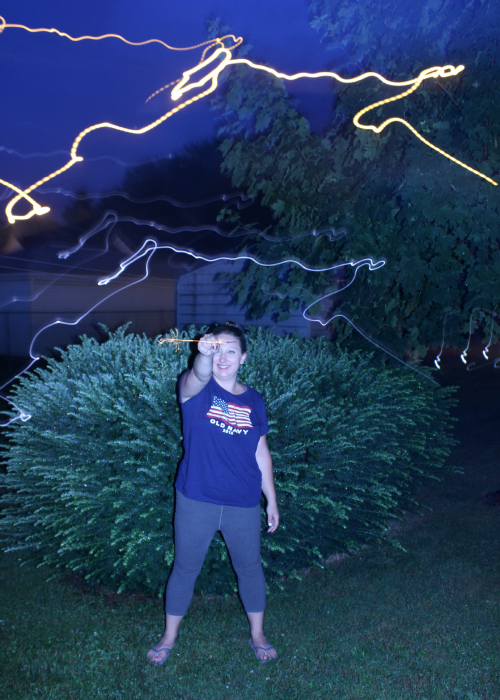 since it has been so long since i have played with sparklers, i knew i wanted a few this year for the fourth of july. 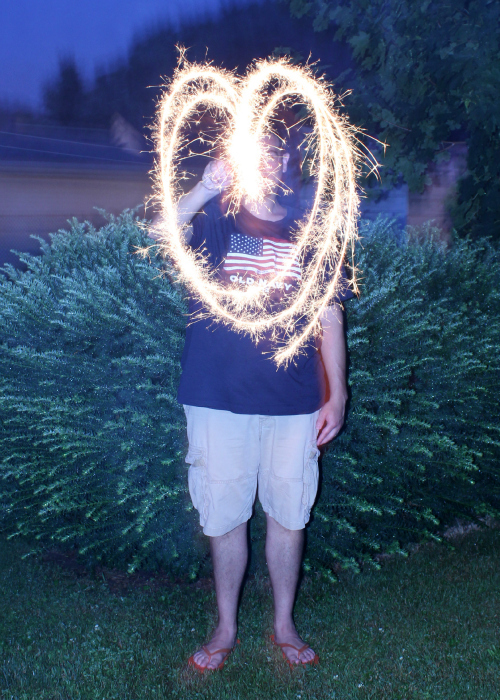 ryan and i had so much fun making shapes with the sparklers. i felt like i took a step right back into my childhood. 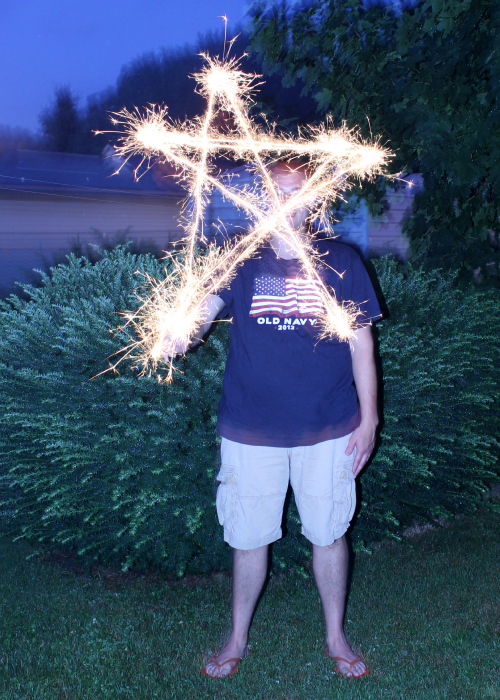 as it turns out, sparkler shapes and letters are easy to photograph once you figure out the right settings (a.k.a. 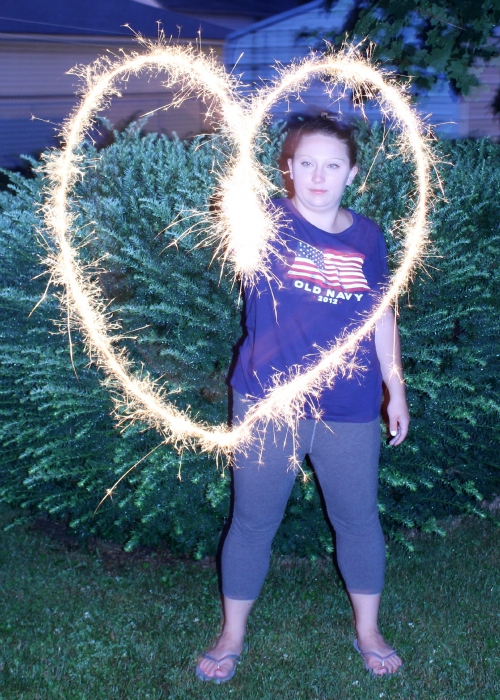 we have a ridiculous amount of outtakes from our sparkler photo session). here's what you need to do . . .
5. set your shutter speed to 4" (4 seconds) or slower depending on the amount of detail in the shape and how fast your subjects move their arms (a simple circle will photograph well at 4" but a star will photograph better at 5" or 6"). 6. tell your subjects to stand still and to write their letters backwards. 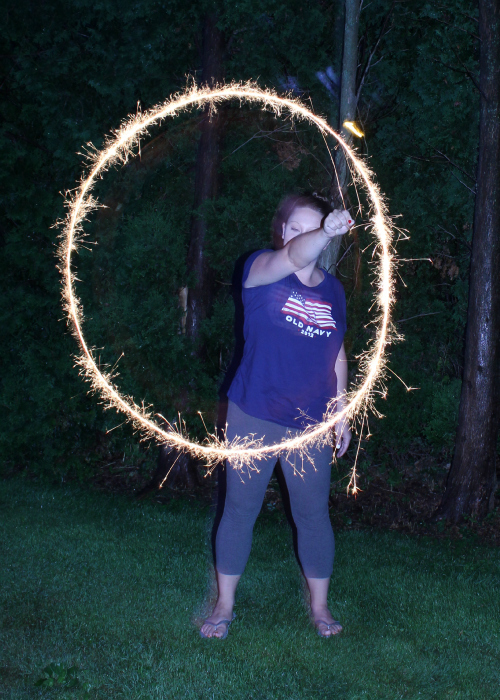 now that i figured out how to photograph sparkler shapes, my next adventure will be to get a bunch of people together to spell out words. i have seen a few examples on the internet, and it looks so cool. 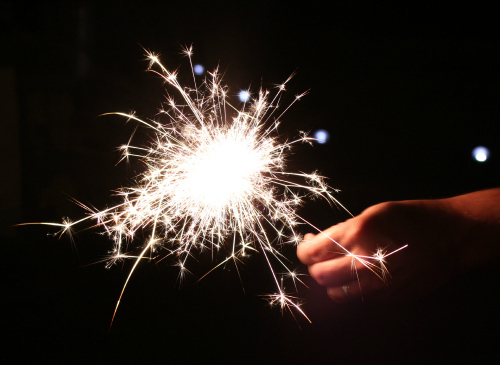 we have a few sparklers left over from the fourth of july, so we will have to practice! These photos are really cool! I am happy to see you enjoying your new camera! How fun! I wish we could have sparklers or fireworks here, but mountain living makes that just too dangerous! Great shots! Those pictures are impressive. 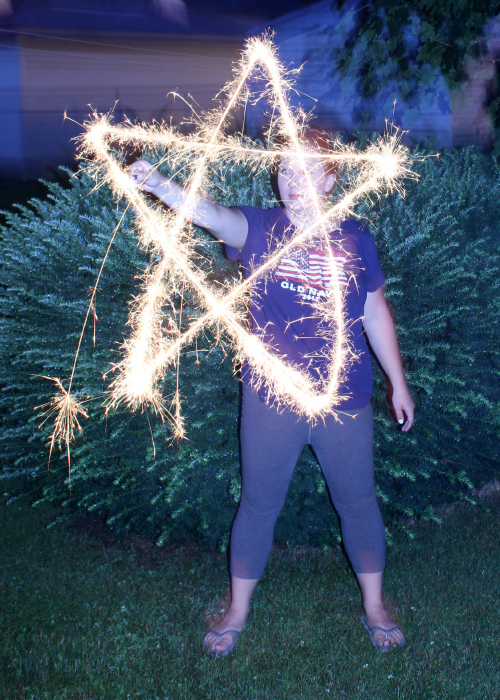 The words or shapes made with the sparklers would disappear quickly but now you can digitally keep them forever. Very clever! I think Good Morning America has a segment called "In Three Words" You should send in three words written in sparklers. I will be one of your actresses.